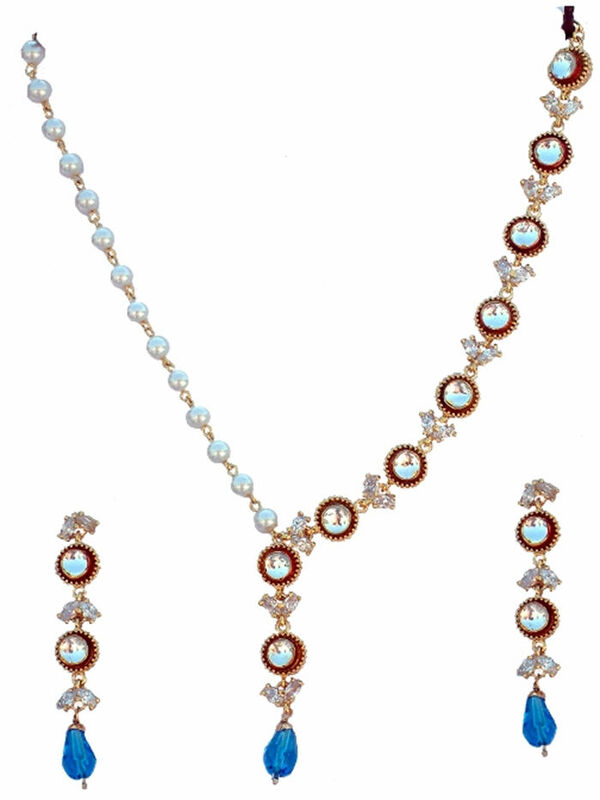 It is a jadtar n pearl pendant set. It is 18 K Gold Plated. Cubic zirconia and firozi pearl are used in it. It looks very beautiful n something different. The images represent actual product though color/shape of the image and product may slightly differ,we always ensure we send you the exact shown color with the same workmanship.